First Fleet by Stephen Case is a pulp science fiction tale released as serialized novellas by Retrofit Publishing. “Part 1: Bones” is a short story leading into the series and is currently available for free at [ Amazon ] and [ Smashwords ]. 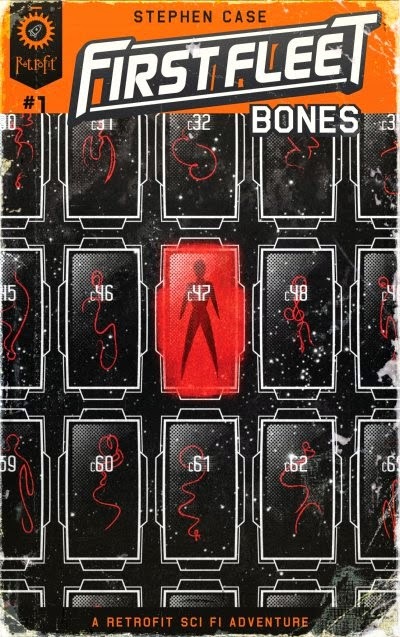 “Part 1: Bones” sets the stage on a medical frigate that regenerates the bodies of killed soldiers. When one of the res-pods behaves strangely, a medical officer suspects that the Colonists – or an unknown intelligence – have smuggled aboard something dangerous. 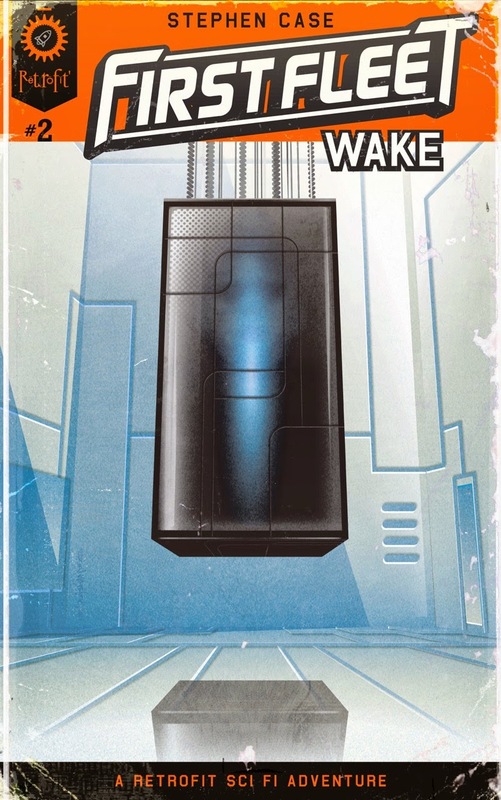 In Part 1, Case introduces the reader to some of the hard science fiction aspects of the series by showing us the regeneration process, where stored personalities are downloaded into cloned bodies. Part 2 expands this to include the light lines that enable FTL travel, and other technology that I don't want to spoil for you. Case also gives us the impression of the long history of his universe which has led to the war with the Colonizers, who have settled on planets at the far edge of inhabited space. In Part 1, we also get a glimpse of the monster who causes the slaughter of the First Fleet. In “Part 2: Wake,” humanity scrambles to penetrate the silence of the First Fleet, but without matching bodies to regenerate, they cannot download the stored personalities of the dead soldiers who might have seen the face of the enemy. From here the story branches out to two points of view. Beka Grale, a disentanglement expert, finds herself folded into a secret team of investigators who run unethical experiments in the hopes of uncovering the memories of the First Fleet. Meanwhile, a regenerating medical officer may hold the key to the mystery of the First Fleet, but the wayward res-pod lands at an outlying planet, where fugitive Cam Dowager contemplates destroying the pod to keep the military out of her figurative backyard. First Fleet is a grim tale of desperation where the characters begin in a vacuum of knowledge and are quickly overwhelmed by an influx of secrets and of events beyond their control. Stephen Case presents us with several questions that give the story depth beyond its beautifully crafted tone of horror. We wonder – is a regenerated person really the same person? What makes one human? Would you set aside your ethics to save the human race? 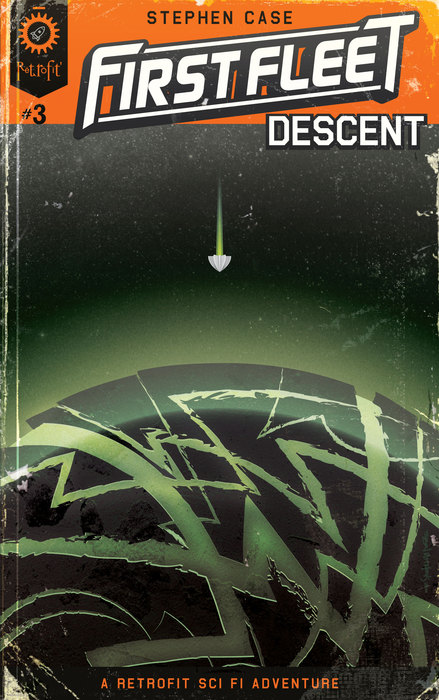 You can pre-order “Part 3: Descent” for April 1, 2015 at [ Amazon ].